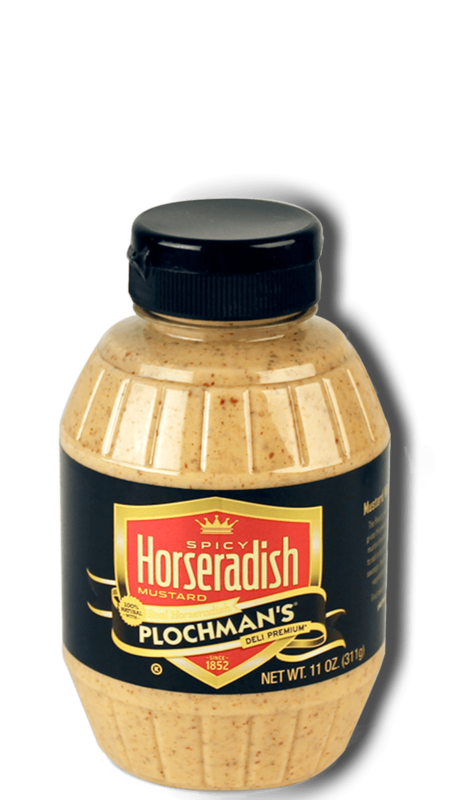 Plochman's Spicy Horseradish Potato Salad contains Spicy Horseradish Mustard, sour cream, chives, and red potatoes to create this delicious meal. Generously season 1 quart water with salt and bring to a boil. Add potatoes and cover. Cook until tender, about 15 minutes. Meanwhile, mix mustard, sour cream and 1 tablespoon chives or green onions. Drain potatoes and run under cold water to cool. Toss with creamy mustard mixture until evenly coated. Chill for at least 20 minutes. Remove from refrigerator and stir. Garnish with remaining chives or green onions. Kick It Up a Notch Give your potato salad a savory crunch by tossing with crumbled bacon pieces and chopped red onions right before serving.